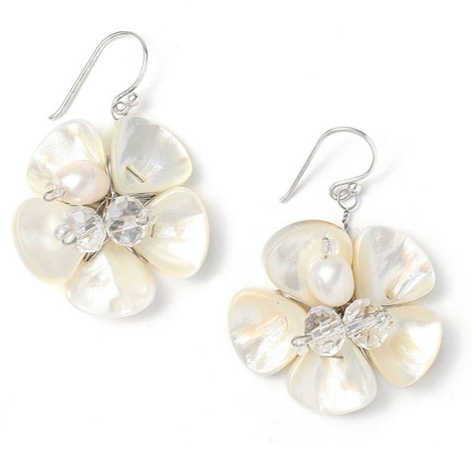 * Mariell's lovely bridal earrings feature genuine freshwater and mother of pearl flowers with faceted Austrian crystal beads. * These 1 1/4" long semi-precious pearl dangle earrings are hand crafted and make stunning earrings for your beach or destination wedding. * They are also great for summer weddings. * These earrings have a beautiful coordinating necklace style 3134N and matching bracelet 3134B and ring 3134R sold separately.